If I were to buy vintage clothing I think I'd often find myself wondering exactly where those clothes had been before - what they've seen, what experiences they've had. Posted in General and tagged clothes, shops on Sunday, 18 May, 2014 by Paul. Given this photo, there was no other option but to use The Bare Necessities as the title of this post. You understand that, right? :) Click on the video below for a trip down memory lane. Posted in General and tagged shops, signs on Saturday, 19 April, 2014 by Paul. 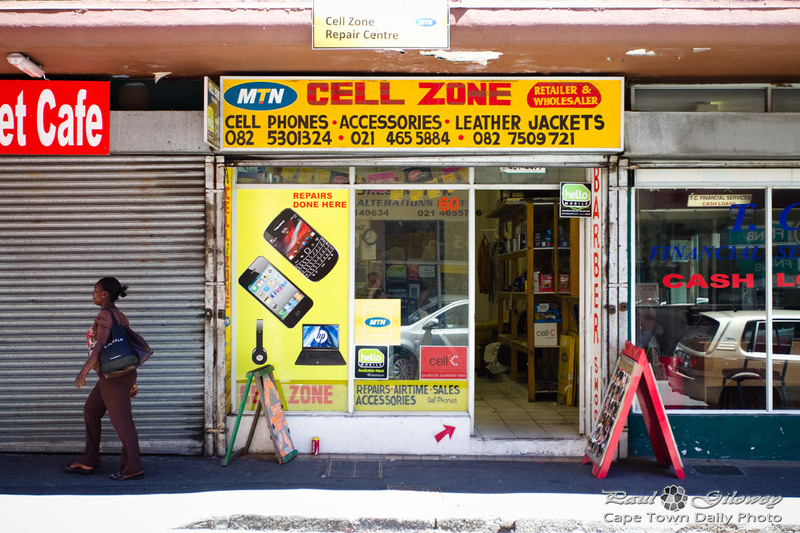 Posted in General and tagged city, plein street, shops on Friday, 21 February, 2014 by Paul. 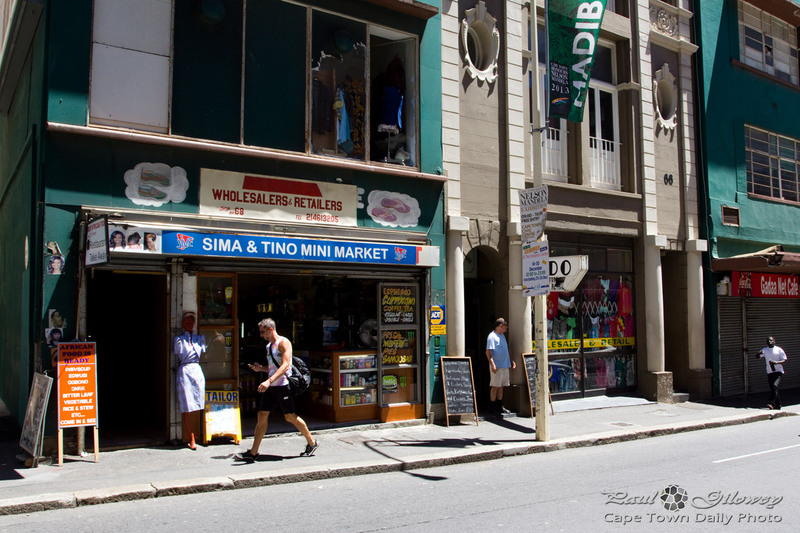 This area on Plein Street is a little run down, and the stores certainly aren't fancy, and small stores like Sima & Tino Mini Market tend to be packed with a variety of products, from sweets and cooldrinks to shampoo, shoe polish, and even take-away coffee. 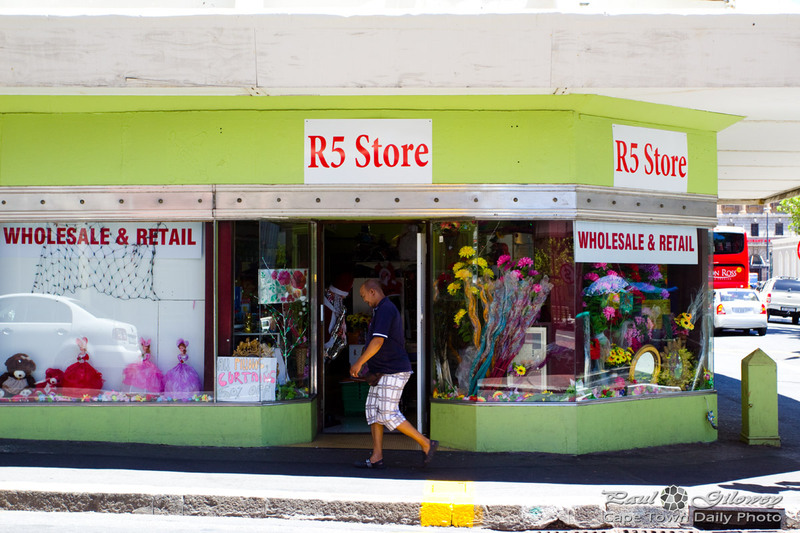 Posted in General and tagged city, plein street, shops on Thursday, 20 February, 2014 by Paul. We don't frequent the open-air St George's Mall that often - so we were really surprised when we stumbled upon Fruit 'n Veg City, a fresh food chain that started off many years ago as an alternative to regular supermarkets, selling only fruit and vegetables (normally directly from local farmers). 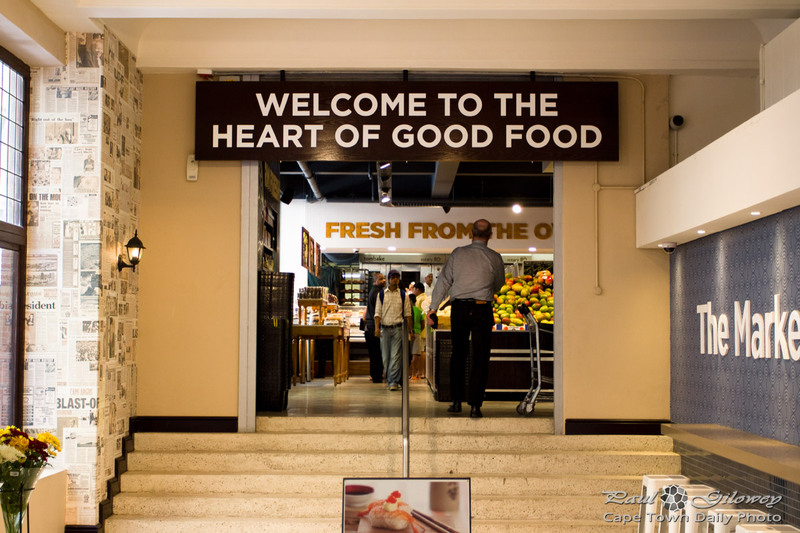 In subsequent years they expanded, introduced more variety, branched out into selling meat, dairy, and baked goods, and is now in many ways South Africa's equivalent of the renown American Whole Foods Market. 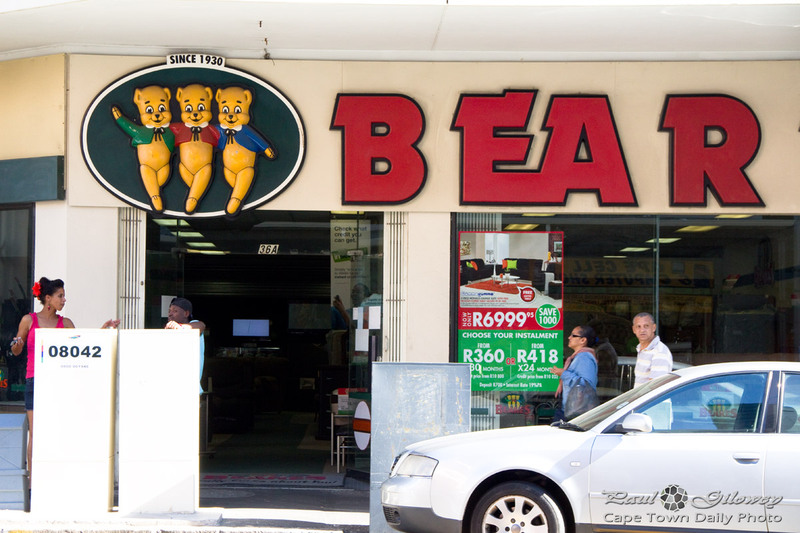 This particular Fruit 'n Veg store (near the top of St George's Mall in Cape Town) surprised us a little - it was fantastic. The food looked especially yummy. The store was neat and squeaky clean. It wasn't thronging with people, and the variety of food was simply awesome. If you're hungry and looking for take-away food (other than fast-food), then pop in at Fruit 'n Veg near the top of St George's Mall. I think I even spied an informal group of tables and chairs where you can sit down to quickly devour your meal. Posted in General and tagged food, shops, stores on Saturday, 8 February, 2014 by Paul. Posted in General and tagged music, shops on Sunday, 25 August, 2013 by Paul. 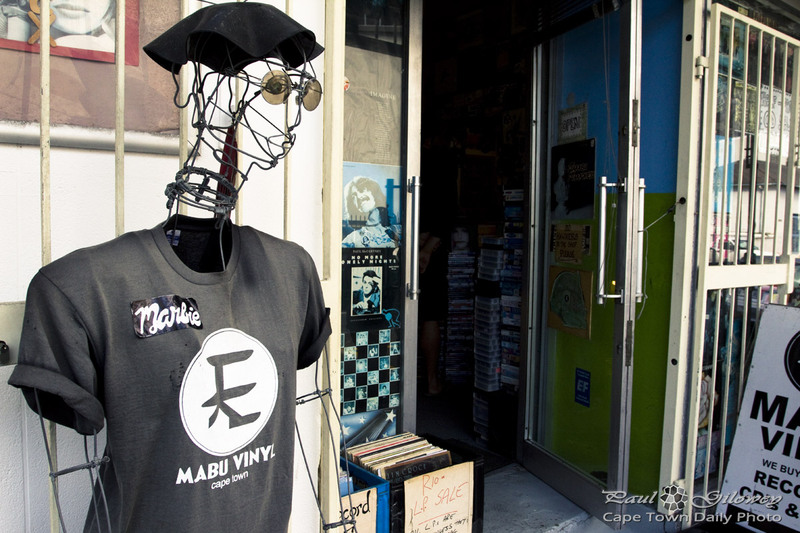 Posted in General and tagged shops, store, vinyl on Friday, 23 August, 2013 by Paul. Posted in General and tagged restaurants, shops on Wednesday, 24 April, 2013 by Paul. They seem to have quite a variety of beautiful accessories. While they don't appear to list prices on their website, I'm going to hazard a guess that they're not particularly cheap, though probably not unaffordable. 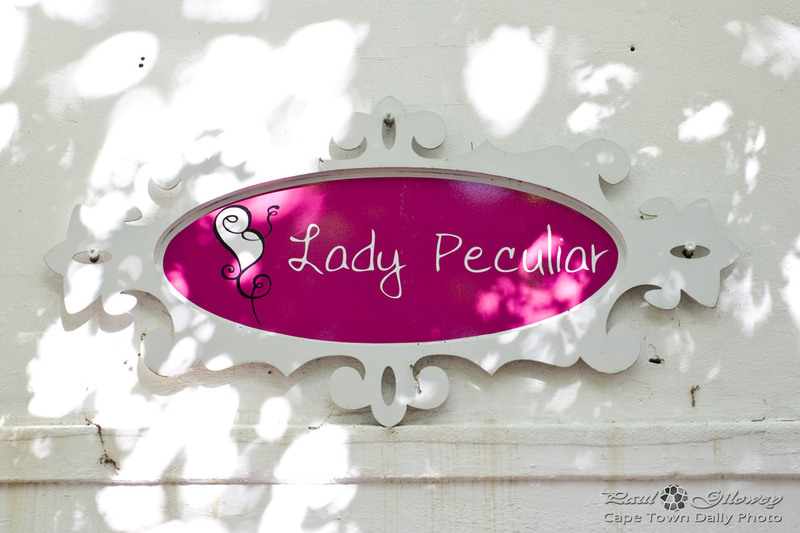 Perhaps pay them a visit next time you're in Stellenbosch. 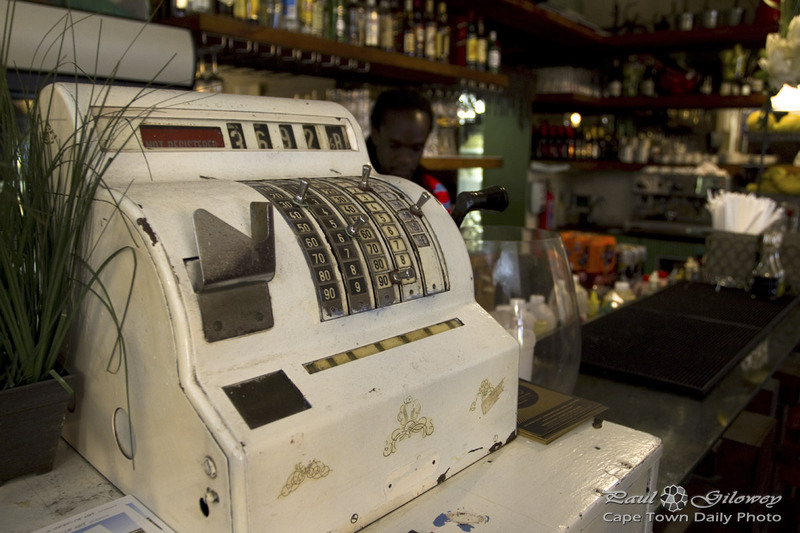 Posted in General and tagged shops, stellenbosch on Wednesday, 10 October, 2012 by Paul. 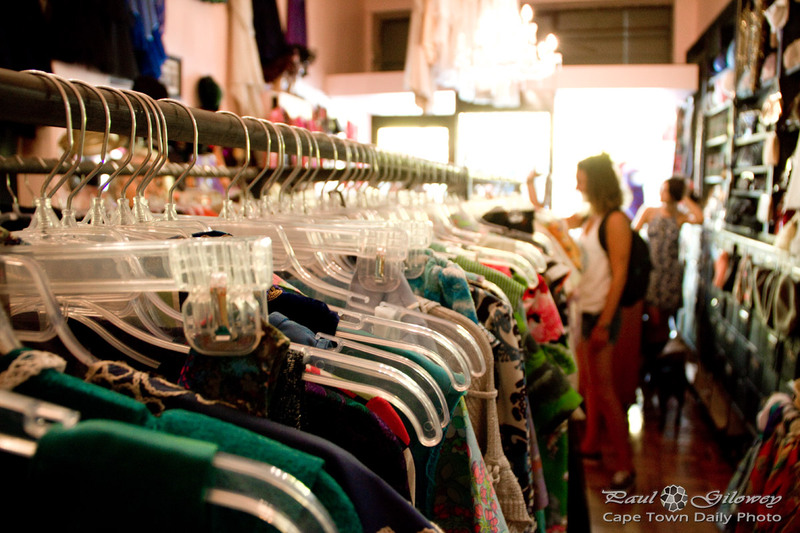 The Milnerton Informal Traders Association organise the weekend fleamarket along the R27 between the suburbs of Paarden Island and Milnerton. 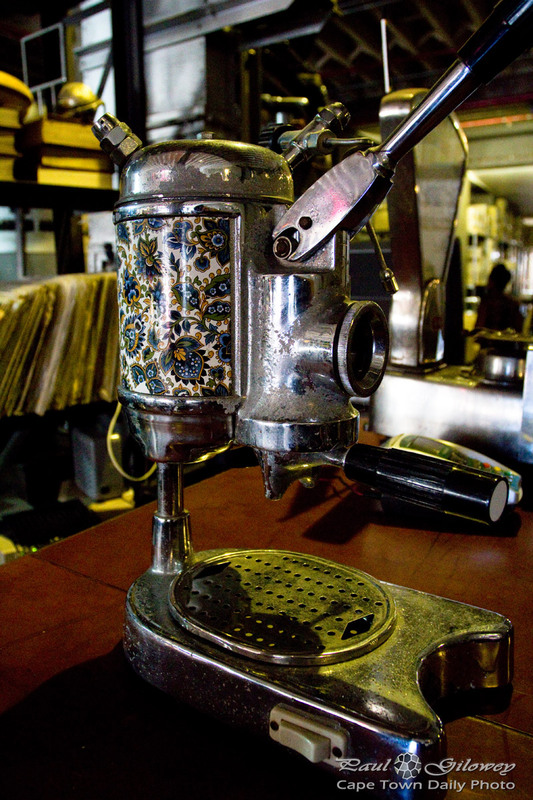 The fleamarket is a genuine bric-à-brac market where traders are allowed only to sell second-hand goods. 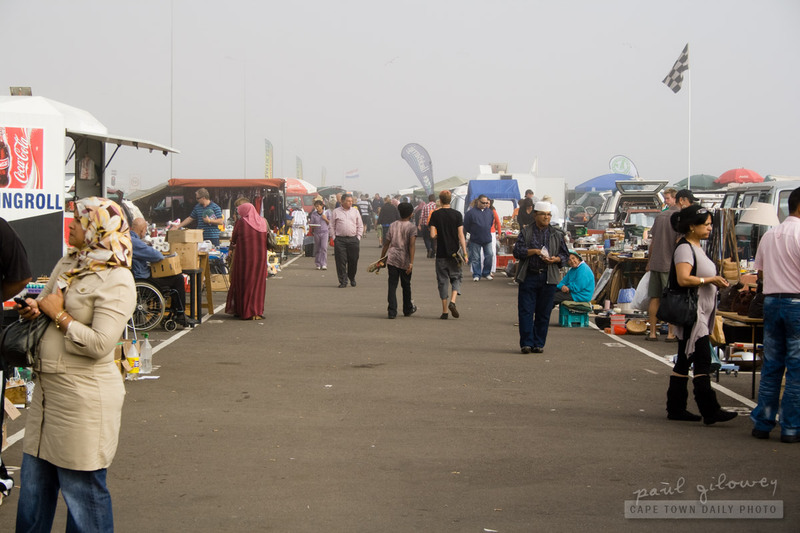 The market was previously located a little further along the R27 at a particularly dusty spot which, combined with the wind, made visiting the market a little unpleasant. 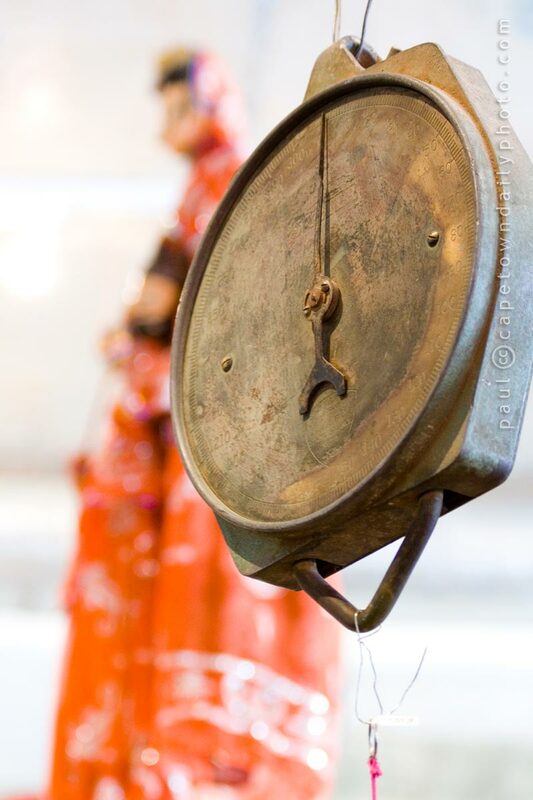 Today the market is located on a long stretch of dust-free tarmac and each trader has a clearly marked out and numbered spot (which makes it easier to find particular stalls on return visits). 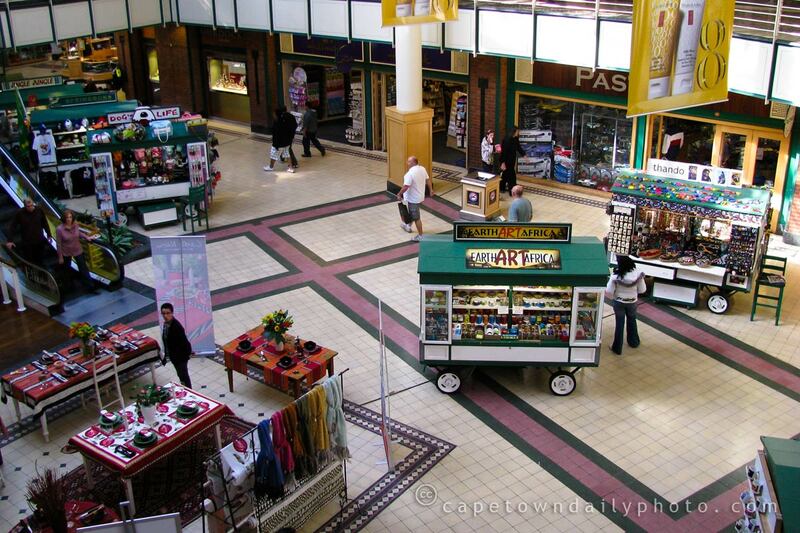 Posted in General and tagged market, people, shops on Thursday, 25 August, 2011 by Paul. 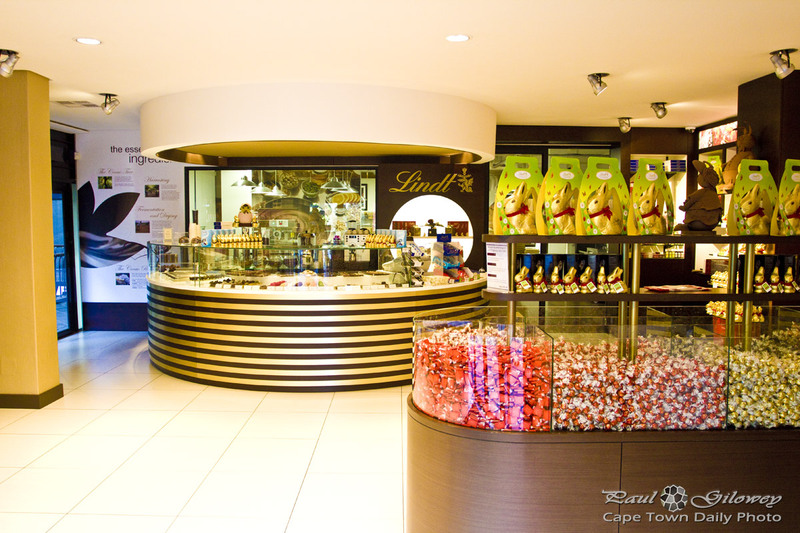 This is the elevator at the Cape Quarter. Upon entering one is met with a combination of the points I made above. Not only this, but one's also overwhelmed by a large poster, a confusing legend, that attempts to guide visitors to the right button. 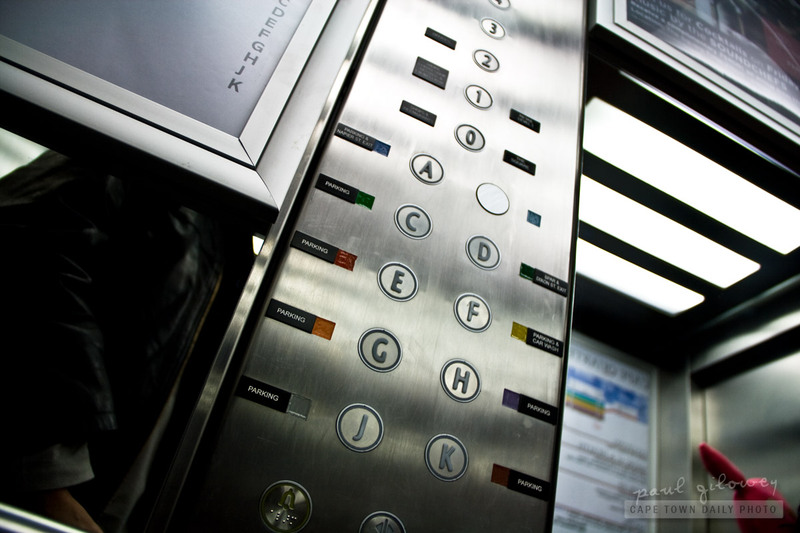 All that I wanted was to go to the ground level - but as the doors closed and the elevator departed, overwhelmed, I found myself pondering the merits of taking a trip to destination unknown. Posted in General and tagged restaurants, shops on Thursday, 28 July, 2011 by Paul. This was one of the informal shops located along the Fan Walk during the World Cup. 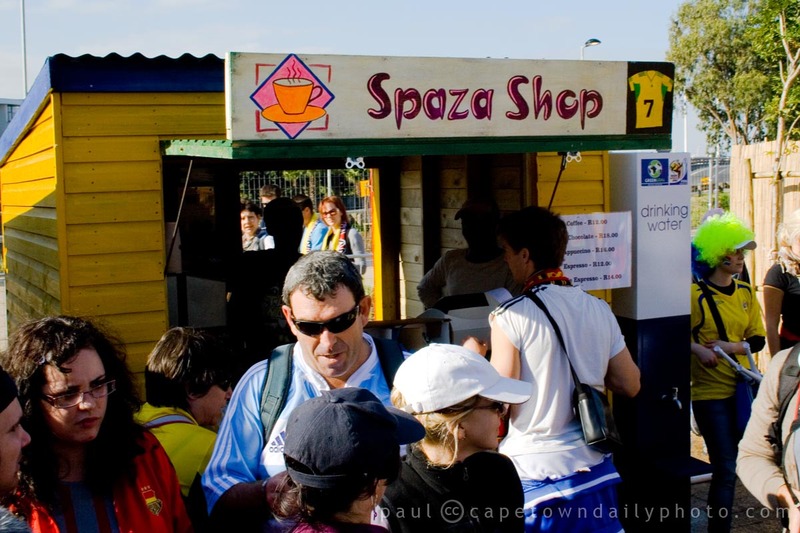 Spaza shops are informal shops that often operate in peoples homes, caravans, or similar structures. 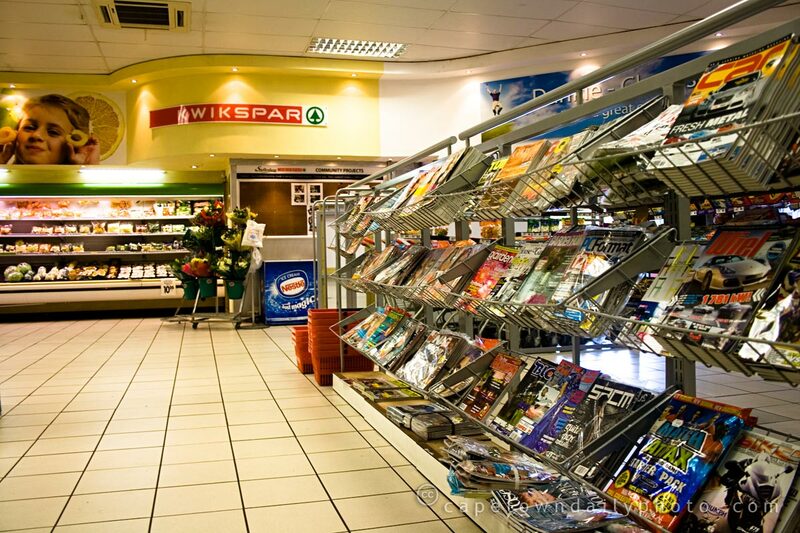 According to Spazanews there are about 100,000 such shops located across the country, bringing in a combined turnover of 7 billion Rand each year! Combined, imagine what buying power they would have! 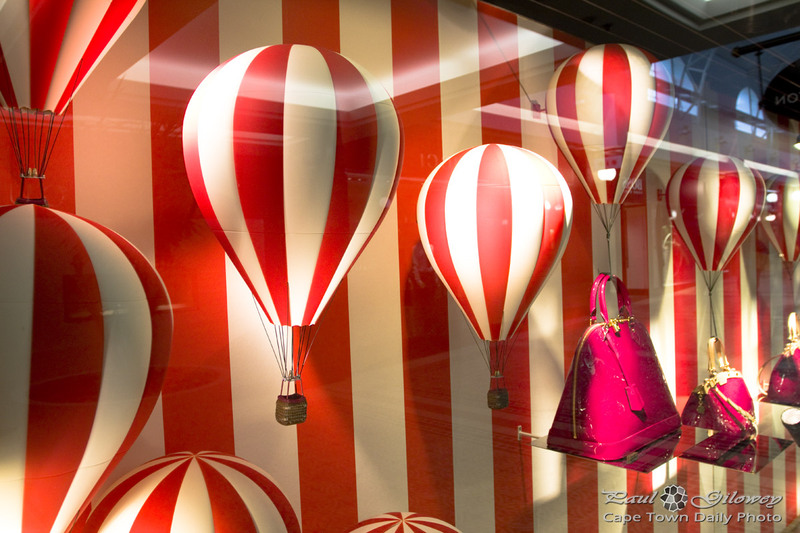 Posted in General and tagged people, shops on Friday, 16 July, 2010 by Paul. 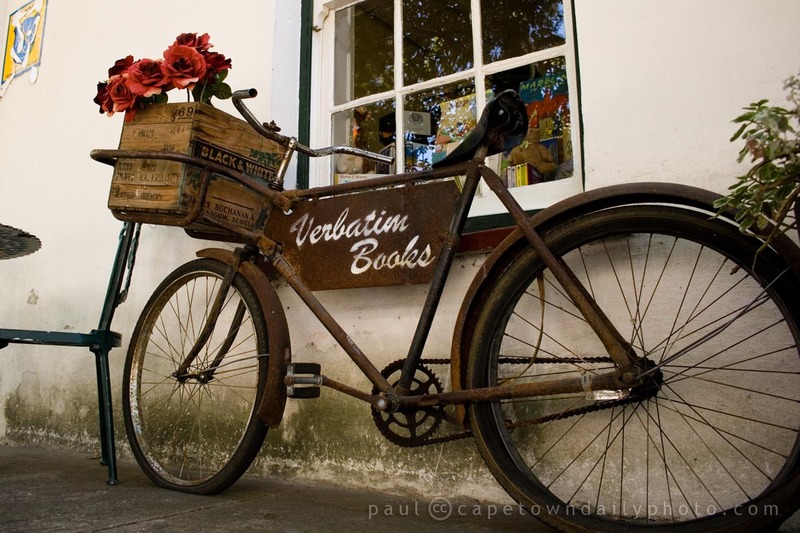 Verbatim Books is a quaint old-style second-hand bookshop in a quiet and shady part of Stellenbosch (here's a map to their location). Posted in Activities and tagged books, shops on Thursday, 18 February, 2010 by Paul. Posted in Activities and tagged art, shops on Sunday, 20 December, 2009 by Kerry-Anne. In addition to the inevitable madness of Christmas shopping, it's summer and a huge proportion of us are on holiday. Shops are overrun with large families shopping in troupes, girlfriends shopping together for summer fashion, couples walking slowly from store to store and (of course) tired-looking shop assistants. As a side note, I'm interested to hear how this December's retail earnings compare to those of the last few years. Perhaps it's just that I've avoided the shops as far as possible, but it seems to me as though spending is somewhat depressed. Posted in General and tagged mall, people, shops on Saturday, 19 December, 2009 by Paul. We popped in to The Book Lounge on Tuesday for my first outing to a book launch ever. 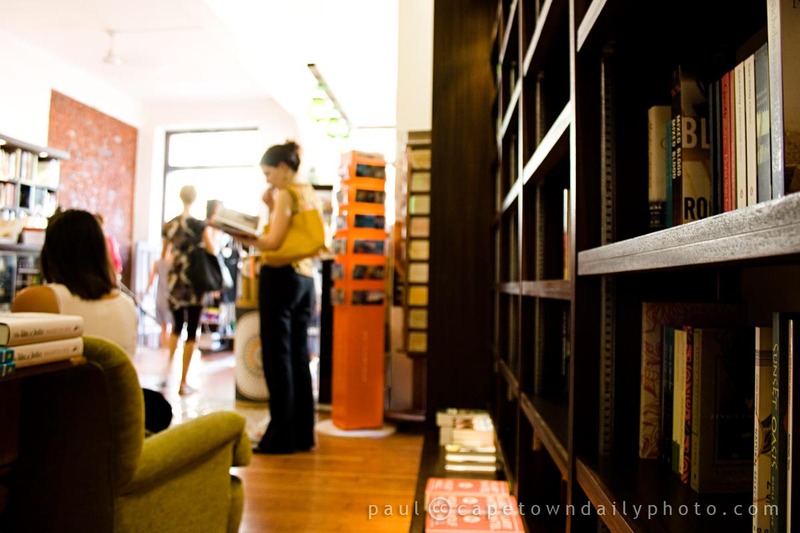 The Book Lounge is one of those traditional book shops with authentic dark-wood book shelves and comfy couches, and it's perfectly situated on the corner of the city's well-known Roeland and Buitenkant Streets. The shop became very crowded and a little stuffy a few moments after I took this shot, as the book launch guests streamed upstairs for the evening's formalities. It seems as though The Perfect Weekend by author Dominique Herman and photographer Brett Florens drew more attention that I'd anticipated! Unfortunately we had to leave just as the talks were starting so that we could to make it to the Silicon Cape event on time. Posted in Events and tagged shops on Thursday, 26 November, 2009 by Paul. I have the impression (right or wrong) that guys in many other countries visit "the barber" to get their hair cut, beard trimmed, and nose-hairs snipped (*eeuw*). For a few reasons, I've never visited a "barber". The one is that the thought of having a stranger who's a guy so in my personal space is a little weird, and the other is that there are very few men-only salons around these days. Apart from these reasons, given the option of a guy tending to your needs versus a beautiful woman... erm, don't you think the latter wins hands-down? Posted in Street photography and tagged shops on Friday, 7 August, 2009 by Paul. Instructed to find fresh bread, rolls and a pack of very lean bacon, I hurried over to our local Kwikspar, which is only a short walk from our house and (for the record) is one of the best Kwikspars that I've ever shopped at. The staff are normally pretty friendly, and the managers are even more so. The shop is always clean and tidy. The veggies look pretty fresh. The meat is of pretty good quality. There's always a variety of fresh bread and rolls. I've found myself buying more bread from the Kwikspar's bakery lately. For the last few years we've been buying a brand of "toaster bread" that's manufactured in bulk by large manufacturers. What started to concern us about this bread is how long it lasts... I mean, is it normal for bread to last 2 weeks and still be soft? When we thought about it we remembered that when we were kids bread bought on Monday was stale by Tuesday... and I think this is the way it ought to be, else there's something terribly wrong with the substance we call bread. As I said, lately I've been buying fresh rolls and bread from the Kwikspar... and I can definitely say that it's way better than the artificial bread we were previously buying. I mean, what's better than a thick slice of warm bread with a chunk of butter? Yum! Posted in General and tagged shops on Saturday, 1 August, 2009 by Paul. Posted in General and tagged mall, shops, v&a waterfront on Wednesday, 15 July, 2009 by Kerry-Anne. Posted in Activities and tagged bar, shops on Saturday, 4 July, 2009 by Paul. 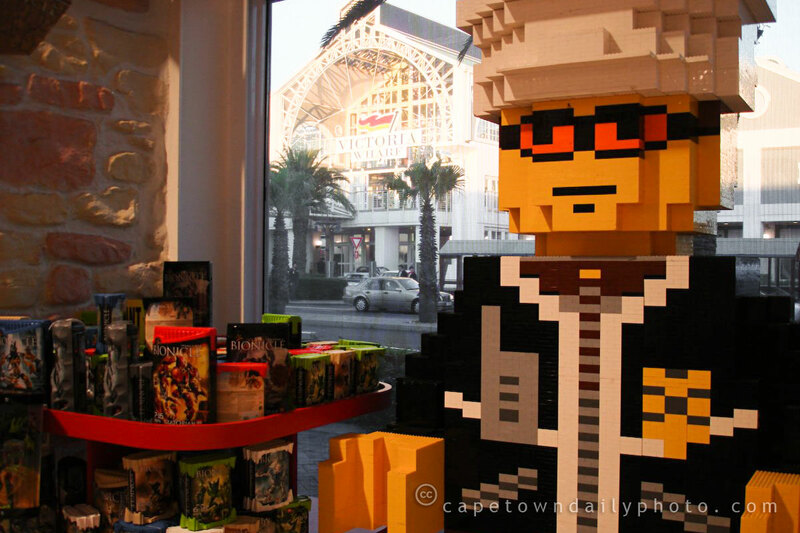 Come on now, admit it, everyone loves playing with Lego... don't they? After chatting with several friends who have kids I've decided that guys (and perhaps a few girls) have kids only so that they can justify buying Lego. I believe that our stand-in photographer Mandy has no kids and is unashamedly a Lego-lover (which is why we have this photo today!). An interesting thing that I discovered from the Wikipedia article on Lego is that Ole Kirk Christiansen, Lego's inventor, actually used a patented design by Hilary Harry Fisher Page called Kiddicraft. Kiddicraft was developed in the 1930s, while Lego materialised in the 1940s. Lego (due to its remarkable success) eventually succeeded in purchasing the rights to Kiddicraft in 1981. Aren't we all lucky that Ole "leveraged" the Kiddicraft design? Were it not for this small part of history, it's possible that millions would never have experienced the joy of Lego! Posted in General and tagged leisure, shops on Monday, 29 June, 2009 by Paul. Substitute photographer, Super Sleuth Watson, attended the opening of the These Four Walls fine art gallery in Observatory. 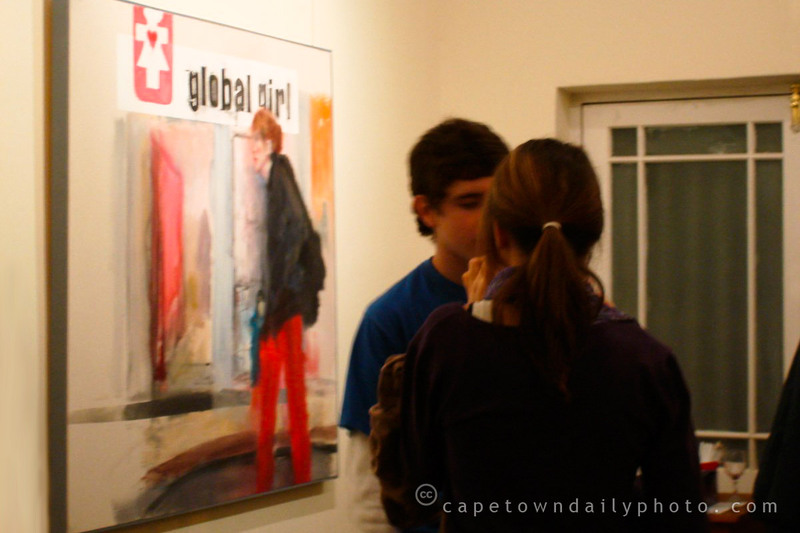 While this was the opening, the gallery is certainly not new, and has in fact been running from a small flat in Woodstock for some time. 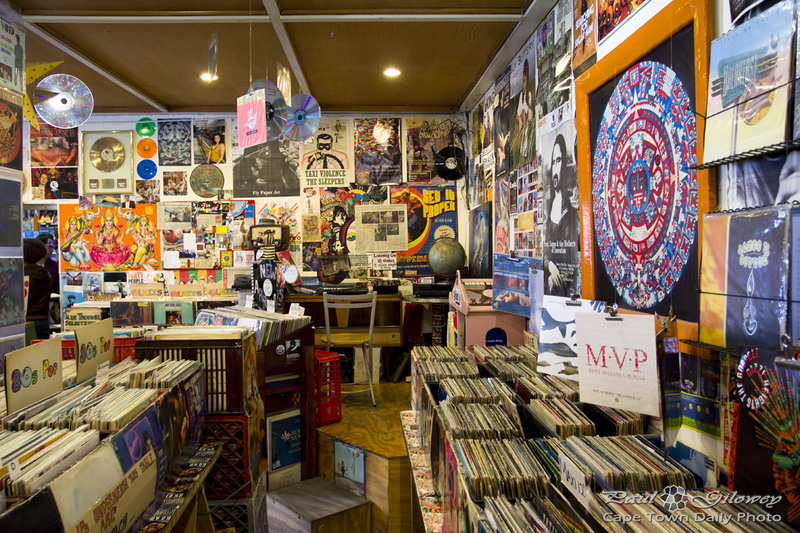 The idea behind These Four Walls is for it to be a gallery with a semi-informal atmosphere where "average people" are able to purchase original works of art at affordable prices. What I like about the gallery is that their website's homepage has a link to photos of the works displayed in the current exhibition. 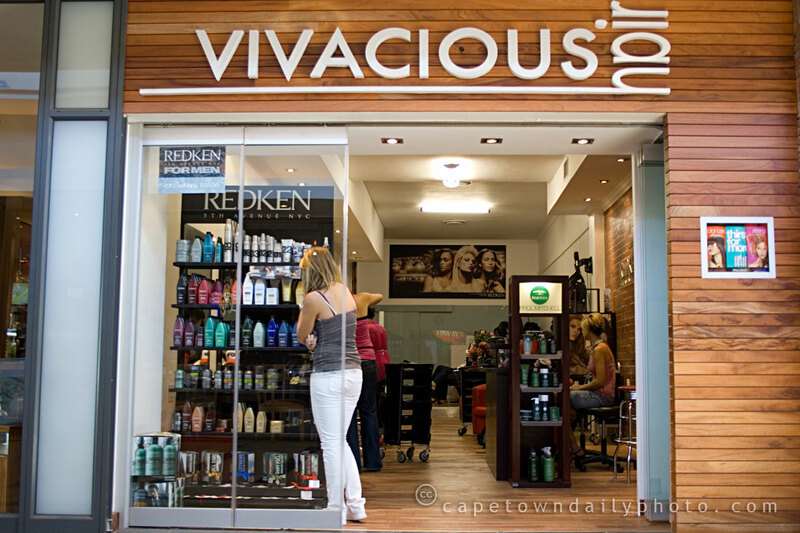 These Four Walls is at 169 Lower Main Road in Observatory, and is open Tuesday through Friday from 10h00 to 17h00, and Saturday from 10h00 to 13h00. Most artists don't paint to make money, they paint to express something for others to enjoy. So, if you find yourself in the area, if you love art, and even if you're not shopping, visit the gallery and stimulate your creativity. Posted in Activities and tagged art, shops on Wednesday, 24 June, 2009 by Paul. I didn't think of it at the time, but I should have asked the vendor (sitting in the far right corner of the photo) how much these cost. I can't believe that they would be expensive, so if anyone is interested, leave a comment and I'll stop by to find out for you. If you'd like one for your kids (or even for someone else's), you'll find this vendor just up the road from the Stodels Nursery in Bellville. I've marked it here on Wikimapia. Posted in Street photography and tagged leisure, road, shops on Tuesday, 16 June, 2009 by Paul. Charly’s Bakery, don’t you think we deserve cake? 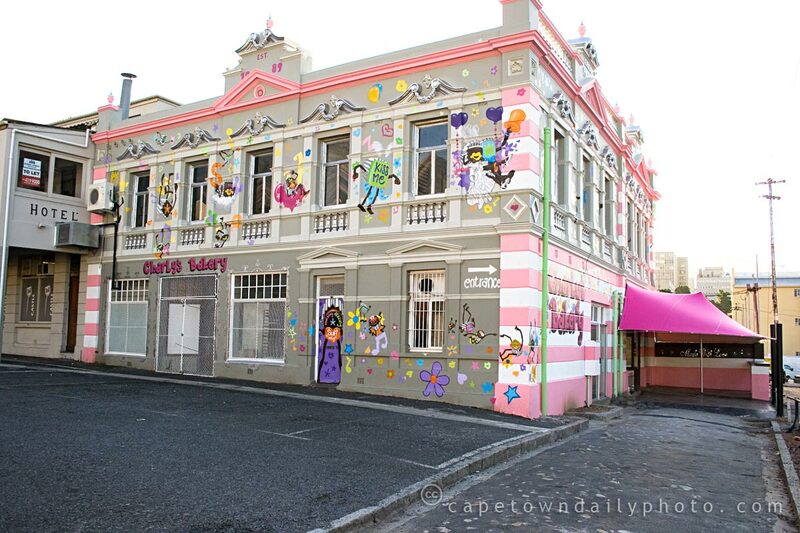 The legendary Charly's Bakery in Canterbury Street is what you behold in this photo. The Charlie and the Chocolate Factory-like building accurately reflects the childlike manner in which one should enter the premises. Charly's Bakery is the place to go if you'd like to buy awesome-tasting-and-fantastically-decorated cakes. Just take a look at some of the wedding cakes in their gallery, but be careful not to even look at their cupcakes - as I fear that you could become an addict with just one glance! One or two of our visitors recently alluded to the fact that there has been some irregularity with our daily posts. 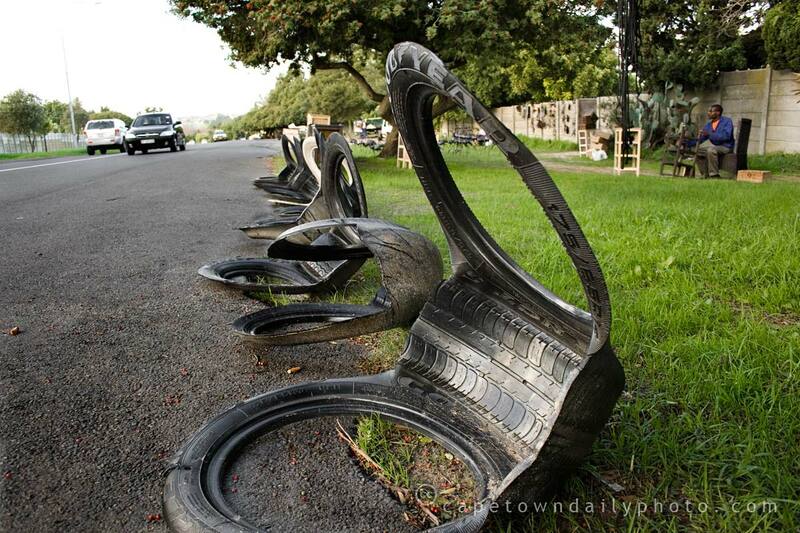 It's not your eyes deceiving you, or your RSS reader acting up; it's indeed Cape Town Daily Photo that's been in a little bit of turmoil for about a week. 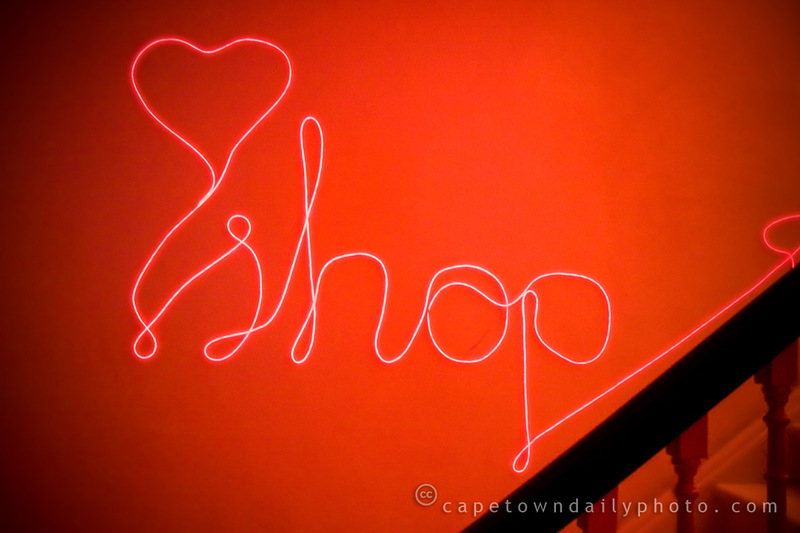 Last week we had an incident with our hosting provider, with the result that I spent a large part of the week sourcing an alternative provider, setting up a brand new server, and migrating Cape Town Daily Photo away from the previous provider. Over this time, I have to admit that we slipped on posting for a few days, and so we're currently trying to catch up the lost days (which is almost like trying to catch up on last week's school homework!). Posted in Street photography and tagged art, food, shops on Saturday, 2 May, 2009 by Paul. I have to say though, their stealthy launch campaign has been really well-executed and clearly very effective. I was visiting one of my clients in Loop Street yesterday, when someone in the office spied this truck downstairs, offloading crates and crates and crates of something liquidy. 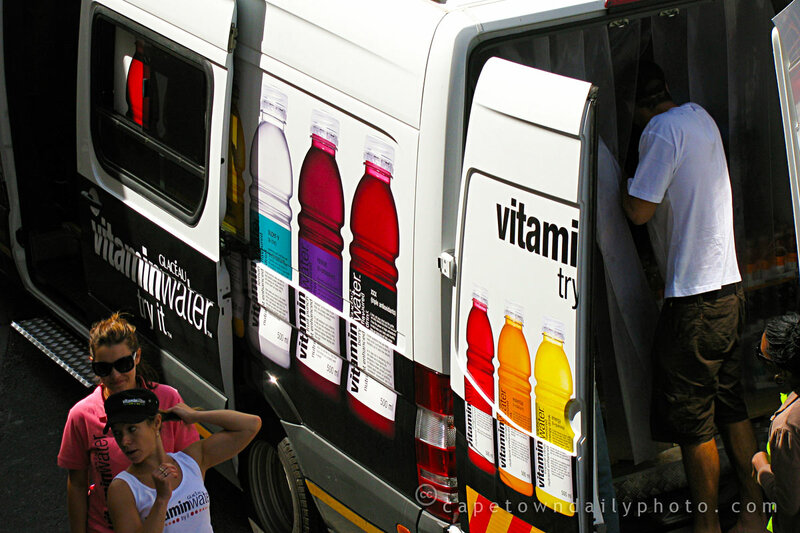 As soon as I saw the truck, I exclaimed, "Glaceau Vitaminwater!" with perhaps a bit toooo much excitement, considering I haven't even tasted it yet. 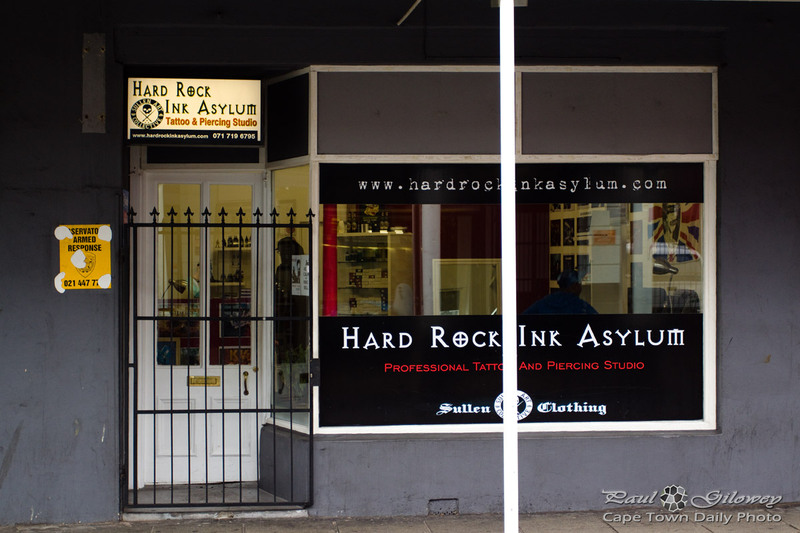 :) It turns out their store/office/temporary home is right next to my client's offices, on the corner of Loop and Bloem Streets, and they were preparing for their launch party. Posted in Street photography and tagged city bowl, people, shops on Thursday, 26 March, 2009 by Kerry-Anne.